Kirsten Imani Kasai is the author of three novels: The House of Erzulie, Ice Song and Tattoo. 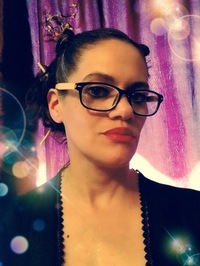 An avid proponent of the need to support literary citizenship and advocacy in the writing community, she's dedicated to guiding writers toward the fullest expression of their voice and work via MagicWordEditingCo. She holds an MFA in Creative Writing from Antioch University Los Angeles and is certified in the teaching of creative writing. Highbridge Audio has just released its audiobook of "The House of Erzulie," wonderfully narrated by Adenrele Ojo and Ron Butler. Such a thrill to hear such talented actors telling the stories of Lydia, Emilie, and Isidore. We’d love your help. Let us know what’s wrong with this preview of The Girls Who Went Away by Ann Fessler. We’d love your help. Let us know what’s wrong with this preview of In the Dark by Cara Hunter. We’d love your help. Let us know what’s wrong with this preview of The Color of Water by James McBride. We’d love your help. Let us know what’s wrong with this preview of The Girl with the Dragon Tattoo by Stieg Larsson. We’d love your help. Let us know what’s wrong with this preview of All Is Not Forgotten by Wendy Walker. We’d love your help. Let us know what’s wrong with this preview of The Changeling by Victor LaValle. A place for writers and readers of erotica.